Custom slipcovers can be a great way to refresh your tired upholstered furniture. But there are a few things to consider. If the springs and seat foam are in good condition, then you’re ready for your slipcover. If the springs need repair or the foam needs to be replaced, consider having that done before fitting the slipcover. That’s especially important with a custom slipcover that’s going to fit tight, like the upholstery on the furniture. I find most one person slipcover businesses don’t do those types of repairs, so you may want to check with your local upholsterer about that work. 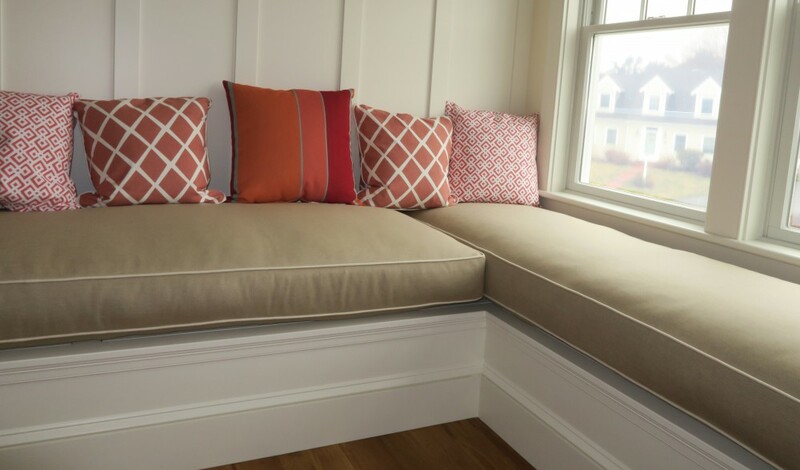 Slipcovers tend to be a little less expensive than upholstery. That’s because it takes less time to make a slipcover. One of the advantages of a slipcover is the ability to take it of for cleaning. Try to get a water washable fabric, like cotton/polyester or 100% polyester and always make sure the finished seams are overlocked to prevent them from coming apart in the wash. Use a front load washer and I recommend air drying. Fabrics that are rated for dry cleaning only, are fine, but are more expensive to have cleaned. One way to get a quick and easy estimate from your local upholsterer is to get an e-estimate. Take a digital photo of the work you want to have upholstered and email it to your upholsterer. After seeing the photo(s), the upholsterer can “estimate” the yardage and labor, then send you back an e-estimate via email. This can be accomplished in most circumstances the same day. It’s a great way for you, the customer, to get your curiosity satisfied in a short amount of time. I know with my business, setting up an appointment at the customers house can take several days to a week, depending on how busy I am. If the customer finds the e-estimate to be reasonable, a trip to the house may still be necessary to measure for the exact amount of fabric needed and to check the overall condition of the furniture. Upholstery, after all, is still a hands on business. I find myself giving e-estimates to my customers that are locals, who don’t use the phone book anymore and second home or rental property owners who are away. Give an e-estimate from your local upholsterer a try, you’ll like it!